Saxophonist and composer, Loren Stillman from Brooklyn New York, is hailed as a writer and a stylist that has found a previously unoccupied slot in the jazz spectrum. (Jazz Review UK) Stillman has been recognized as one of today's truly original creative voices by The New York Times, Downbeat Magazine, Jazziz, JazzMan, Jazz Thing, Jazz-Times and National Public Radio. A former student of Lee Konitz and David Liebman, he has performed and recorded throughout the United States, Europe and Japan with his own ensembles, and with those led by Charlie Haden, Paul Motian, Carla Bley, John Abercrombie, Andy Milne's DAPP Theory, Michele Rosewoman, Joe Lovano, Eivind Opsvik, Tyshawn Sorey, Vic Juris and The Vanguard Jazz Orchestra. Recipient of two Outstanding Performance Awards (1996 & 1998) and the Rising Star Jazz Artist Award (2004) from Down Beat Magazine, Stillman received scholarships to attend The Manhattan School of Music (1998) and the New School University (2002). 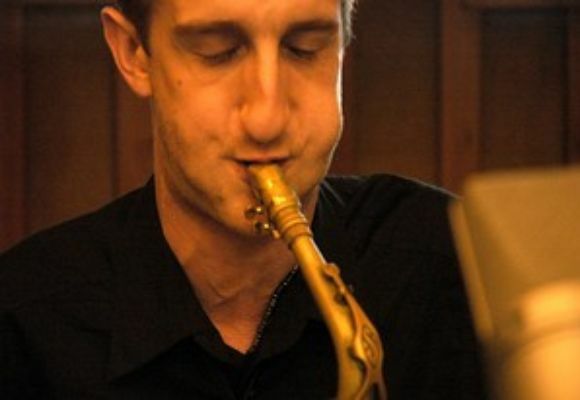 He was a semifinalist in the 2002 Thelonious Monk Saxophone Competition, and in 2005 he received the CMA/ASCAP Award for Adventurous Programming and the ASCAP Young Jazz Composers Award. It Could Be Anything (2005, Fresh Sound) and The Brothers' Breakfast (2006, Steeplechase) received critical acclaim from the New York Times, and four star awards from BBC Jazz Review and Downbeat Magazine. Stillman was a featured artist on WKCR, Weekend America and LIU Radio programming.